Here’s “Ming”, an Ocean Quahog Clam, Arctica islandica, family Veneridae, which may be the oldest living animal ever discovered. 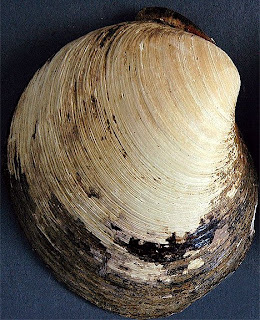 Judging by the annual growth rings on the clam’s shell, Ming was believed to be in the region of 405-410 years old when the clam was caught off the coast of Iceland in October 2007. The clam was named after the Ming Dynasty due to its age.